It seems Adobe has finally taken a stand and drawn a line in the sand. based service, with pricing starting at $50 for a monthly subscription. up for the Creative Cloud - but none of the new updates are going to be added to it. all over the web. Adobe is and has lost an incredible amount of money due to piracy". to reduce motion blur in your photos. the size of an image, large enough for a billboard, without pixelation. of the usual circular area. major CC applications, enabling you to post your projects instantly to Behance for feedback. to build web designs in Photoshop that can easily be turned into responsive websites. In total, Adobe promises "literally hundreds" of updates and new features to its Creative Suite tools. "Has Adobe Alienated The Common Man / The Everyday User"? Who can afford a $50 monthly bill to use Photoshop. and time learning the other tools most will never have use for. What becomes of the offspring of Photoshop, Adobe Elements, will it continue or be discontinued. its customers for the professional community that can afford the Creative Cloud price tag. 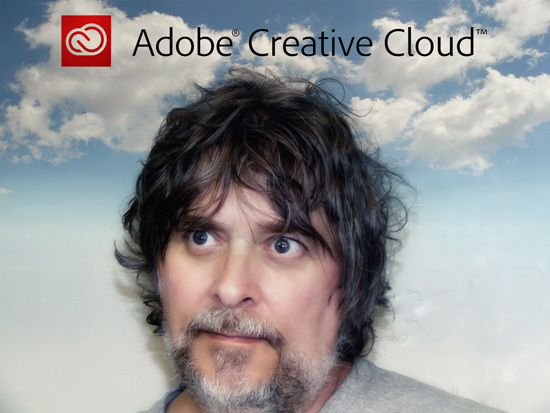 Q: Do I need ongoing Internet access to use my Creative Cloud desktop applications? A: No. Your Creative Cloud desktop applications (such as Photoshop and Illustrator) are installed directly on your computer, so you won't need an ongoing Internet connection to use them on a daily basis. Q: Do I have to download and install the applications available in Creative Cloud all at once? A; No. Creative Cloud lets you install each application individually whenever it works best for you. Mix and match whatever you want — you have the freedom to choose which applications to install. Q: Can I send files to people who don't have a Creative Cloud membership? Will they be able to view or share the file? A: Yes, files created by the Creative Cloud apps can be shared like any other file. For example, you can share files through email, FTP, and so on. Q: As a Creative Cloud member, am I required to install an upgrade to a desktop application when it becomes available? A: No. You are not required to install any new version of the desktop applications available in Creative Cloud. You can continue using your current version of the product as long as you have an active membership. You have flexibility on when you install a new release to take advantage of new product features, if you choose to do so. Q: I currently have a previous, perpetual-licensed Creative Suite edition on my computer. Will I be able to use both my Creative Suite products and the new Creative Cloud applications on my computer? A: Yes, your existing Creative Suite installation will not be affected by installing the new CC applications. For example, you can install and use both Photoshop CS6 and Photoshop CC on the same computer. Adobe sent me an e-mail with the chance to subscribe to the Creative Cloud for a reasonable price of $19.99 a month, but you have to own a copy of an adobe CS6 product to get this offer and you have to order by July 31st 2013.
well said...I can see professionals being drawn in by the instant update carrot....but as you said, as for the lowly peasants...we'll just muddle through sans Adobe. I agree, plus, it I do not find Photoshop Elements 10 user friendly. Thank you for this post, Jerry. I read a brief statement about this last night but did not follow what it was all about. You have made everything crystal clear. It will be interesting to see what happens to Elements which is the program I have been using. The Creative Suite was beyond the reach of my pocketbook as is the $50 monthly fee. That's just stupid. Why don't they do both versions? I wouldn't want to rent Photoshop for a month with a price like that. A well, maybe I can buy a newer Photoshop version than my old 7 because I guess the price will drop somewhat for the boxes. Argggh, how annoying! I just went to their website and it appears that you can use all of their programs for $50/month, but just buy Photoshop for $20/month. That is not as horrible, but still stinks. I hope I am reading this correctly. They have just ruled out all the young families who are scrapbooking, senior citizens (me), college students, high school students, those with limited/fixed incomes and those without access to the cloud, such as members of the armed forces serving in remote locations, and probably thousands more I haven't yet thought of. Their price for renting is unaffordable, as were their suites. I make do with PSE 7, and I was planning to upgrade this year, but obviously I won't be doing that now, nor will I ever rent any software at all. They have placed a noose around their own necks, IMHO. They should have priced it better to begin with, and there wouldn't be so many pirates swashbuckling at the door. Phooey on Adobe. I'm going to have to look at Corel now. Sigh. thanks for adding the extra FAQ info, I'd wondered if you'd have to be online continuously to use a cloud-based service. I have CS5, so to get the special offer, I'd have to pay almost £200 (I'm in the UK) to upgrade to CS6, and then start paying a monthly subscription. It's just not an option. I really enjoy photoshop but I'm just an individual, not a bottomless pit of $$$. I'm very disappointed with Adobe. I for one wont be paying Adobe $50 a month to use Photoshop. Adobe have definitely alienated the common man ~ they have put Photoshop out of the reach of 1000's of everyday users. I agree with Barbara's comment above ~ if they put a more reasonable price tag on Photoshop in the first place there would be a whole lot less piracy! I am fortunate enough to have been able to afford Photoshop CS4 a few years ago ~ which I love and it does everything I need it to! I will be sticking with that from now on! guess then i'll be buried w. my photoshop version. they're defending their business fair enough, but alienating lots of non professionals who cannot shell that kind of money. I have been a subscriber of CC since it came out some time ago, maybe 6 months. The first year they charge $29.00 and I had a faculty discount of 1o dollars. At any rate I would buy it regardless. It give you full access of everything in the master suite as well as lightroom and a handful of other useful programs that are just not available at all to non-cc subscribers. Apple has been doing this sort of thing for years now and it works well. Poor Aussies get stung with even higher fees, go figure. CS6 is pretty much where it ends for me. I will never pay to "rent" my software. NAAP members were offered a year of Creative Cloud for $29/month (I think that offer has expired now, or is close to expiring) and that gives access to everything. (That is also the academic price, for those who are educators or students.) Without a NAAP membership, the price is currently $50 (but $20/month if you only want Photoshop). When you add up an outright purchase of Photoshop, Lightroom, Illustrator, InDesign etc etc, I think it's a wonderful price. I couldn't fork out that kind of money all at once, anyway. When my year is up, I'll see what Adobe is going to charge, but I'm hoping they'll continue to offer NAAP members a discount. If not, I would probably switch from the full Cloud to only the Photoshop Cloud. I've been very happy with Adobe's Cloud so far and don't have an issue with a subscription-only product. I think Adobe has been a huge victim of illegal software and this is likely the only way to have some sort of control. I would bet they'll keep Photoshop Elements around so there is some sort of lower-priced product, too. I totally agree with you Jerry. I started using PS Elements & Premiere 7 initially (got a nice discount at Costco just before Elements 8 was released) and then later, as I wanted to do more things, I upgraded to CS5 (again because I got a decent discount from Adobe) but I'm just one of the plethora of people (like the sort you and Barbara, above, mentioned) that cannot afford to make the switch. I'll continue with CS5 until such time that my computer no longer supports it (because, as you know, newer machines often don't support older software programs). I'm thinking this change by Adobe may just send more people over to the fairly affordable Paint Shop Pro by Corel. Corel could end up the happy one in this situation. I totally agree. I just recently started using elements 11 because of the clipping and masking features. I had always use paint shop pro NY corel. Very good program for the money. I've been using Photoshop CS3 since a while, and it has done everything I have wanted it to, till now. I was a regular user/explorer of Corel's PhotoPAINT! back in teenage, and used to love it. Will go back to it when needed. I personally think Corel was ahead of the game in some areas, given that they don't have Adobe's kind of money for innovation. PhotoPAINT! used to have a custom filter where you could actually enter the numbers in the matrix that would be applied to the pixels, e.g. for sharpen, you would increase the weight of the center pixel and decrease the neighboring ones, and the opposite for low-pass/blur. As a computer science student, I loved this degree of control. I'm actually happy Corel will get a chance to break Adobe's near-monopoly of the raster market. These are going to be interesting times. I can understand Adobe doing this to prevent illegal copies and to protect their business but I'm afraid I can't afford the $50 a month. And even at $20 a month for just Photoshop, that adds up. So I'll be using CS6 until it no longer works and then.....well, I don't know. It's just a real shame that the hackers have hurt not only Adobe but tons of faithly PS users as well. To save money we are on a bandwidth limitation for our internet. Our family uses for PS include hobby photography (with some actual paid photoshoots now and then), digital scrapbooking, digital art, video art and some web design. I can come up with the funds to purchase box software, as I have several times in the past, but I won't rent it monthly. I often edit my photography while at the family cabin, where there's no internet, no cable, no cell service. Online services do not fit my lifestyle. I'll have to learn to be content with the old sets I have, hoping as OS's evolve that it doesn't render my software useless, like Vista did with my scanner and printer that I purchased just before it's release, so I have a tower running XP just for those devices until they all die. Money is that tight. However, I'm also a type of person who doesn't chuck something into a landfill just because it's out of date. I do use other programs for my editing, often tossing an image between them to achieve the look I want (some tools are available on one and not the other, or are just easier on one versus another). Those programs are Gimp, and before the downgrade of internet, PicMonkey and iPiccy. Adobe's 'Creative Cloud' [sic] has no - repeat, no - appeal for me. I have not, and never will, embraced the concept of 'Software As A Service' (SAAS). I do not rent the applications I use - I own them. Anything which is not outright ownership with no restrictions is unacceptable. Yes, the 'big money' crowd and the 'professionals' may feel they have no other choice, but - they're the ones with enough clout to force Adobe to reconsider. I'm far too experienced in the ways of the world to believe that will ever happen. They'll do what politicians do ... 'Go along to get along' and just pay whatever Adobe charges. When - as you know they will - Adobe decides (a) it's not raking in enough revenue, well, guess what? Time to pony up again, boyz 'n grrlz, and (b) since the installed user base just went along with their plan, they have no incentive to listen to or improve their product(-s) in the 'Cloud'. Nope, the Adobe 'Creative Cloud' is an excellent marketing strategy ... a common sense move, not so much. I was having this convo with my hubs. We concluded that Adobe expects professional design firms will be using PS products, while the common photographer (or us amateurs who just like playing with pictures) will be just fine with Lightroom (which is not part of this scheme). Well thank goodness for things like Gimp.=) Or, if you still want to give Adobe your money, there's always PS Elements, which is also not part of their scheme. And by the way, I was listening to some tech news an apparently on the day Adobe went live in this new setup within 12 hours the entire list of CC products was hacked and being circulated via the usual illegitimate way. Oops, right? I live on a fixed very limited income. I hate PS Elements and really need PS to work. I can't afford the money for PS updates on DVD all the time, I have subscribed to CC because it is easier and within my reach to get PS without having to have a lump sum of cash laying around and it is giving me the chance to learn other programs that will benefit my work as well. I am chronically ill and basically home bound. I am starting a business using these products and am excited that Adobe has thought of this, it really makes it easier to get access to their products. I am a long-time user of your beautiful and creative textures and I am saddened to hear of all the hardships you and your family have experienced this year. I have missed you and I'm glad you are back. My wish for you now and in the coming new year is healing, both physical and emotional. May God bless you and heal you. That's why I like to use Pixelmator on my Mac. It's enough for photos, image processing and digital scrapbooking. Really enjoyed going through and looking and learning from your site. I feel for the pain you've gone through lately. CS6 seems to be an amzing programm to work with anyway for most people, isn't it ?